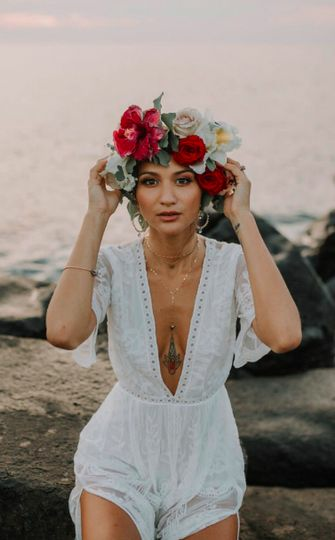 Bliss Beauty Hawaii is a premier mobile hair and makeup artist in Honolulu, Hawaii. Sherilyn, owner and lead stylist is a licensed cosmetologist who has practiced for a few years now. 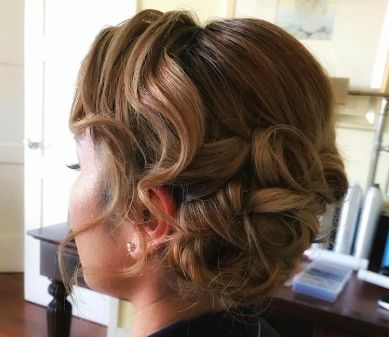 Her team is experienced to what ever style you envison from natural to red-carpet ready they can execute your unique look. No matter what your hair and makeup style is they will ensure you feel comfortable and confident in your bridal look. 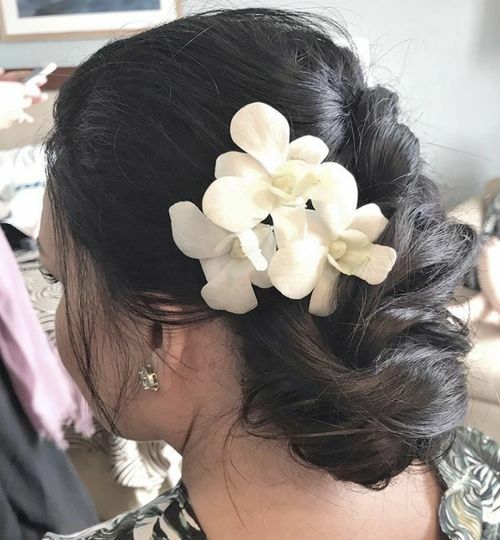 Her team of stylists work hard to create the perfect details to accentuate your beauty and make your wedding pampering experience one of a kind. 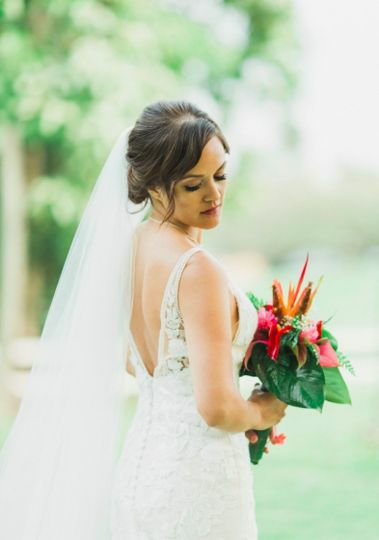 Bliss Beauty Hawaii offers onsite hair and makeup styling for both brides and bridal parties. 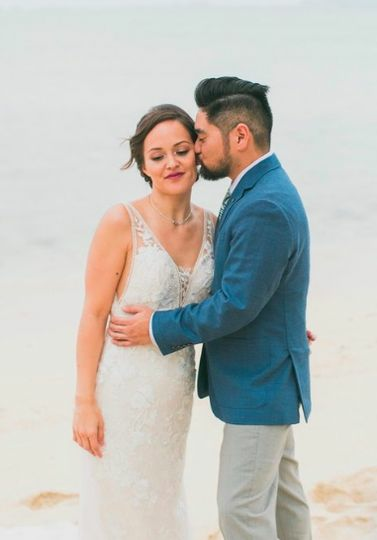 You’ll meet with your stylists for a consultation and optional trial services to discuss your ideal look for the big day. Hair and makeup styling can be booked together or separately. False lashes and hair extensions can also be added to any package. Bliss Beauty Hawaii offers men’s grooming services including mattifying makeup to improve the skin tone. Sheri was awesome! 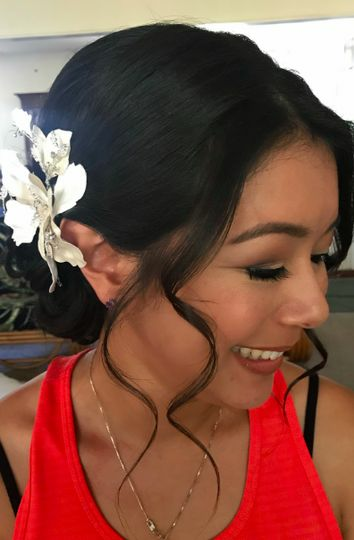 She just went with the flow of our crazy day and made everyone look beautiful- including my now husband! :) I had a trial run with her and I texted her later to let her know my concerns of the fake eyelashes and she immediately put me at ease. 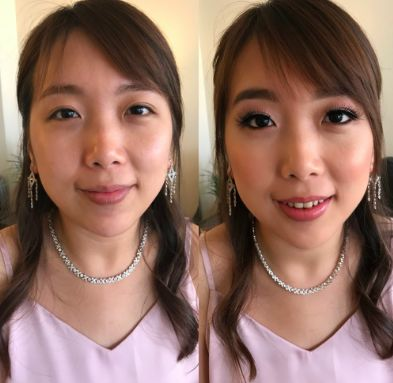 For our wedding day, I felt absolutely beautiful. Thanks so much, Sheri!!! 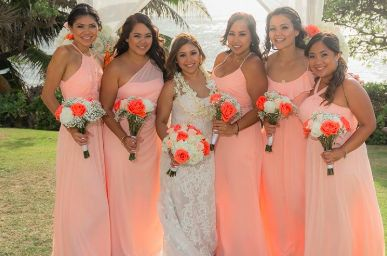 Sheri did beautiful job on wedding hair and makeup for bride and mother of bride. Appropriate communicate and easy payment even at short notice. Thank you Sheri! You helped make our day go smoothly. Sheri was amazing! 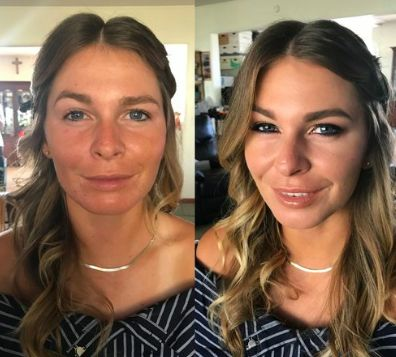 She perfected my look for my wedding to exactly how I wanted it. 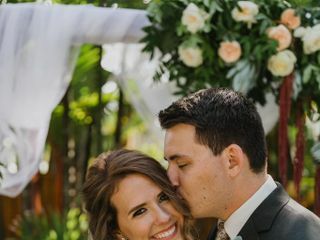 She was flexible and was able to fit everyone in her schedule with enough time allotted without having to rush to the venue. I totally recommend Sheri!